Above and below: Children wait outside an UNRWA school before attending the first day of class in Gaza City, Aug. 29, 2018. 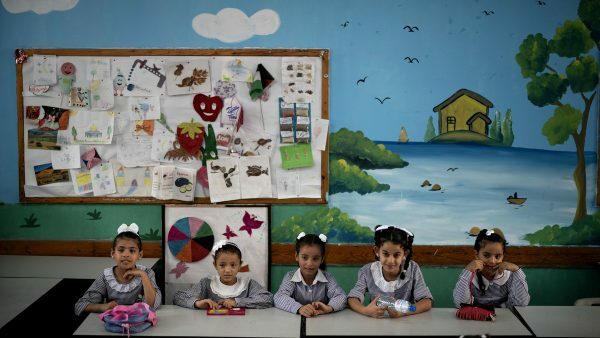 Hundreds of thousands of Palestinian children are starting their school year in Gaza amid major budget cuts that threaten to close United Nations schools. Felipe Dana | AP. 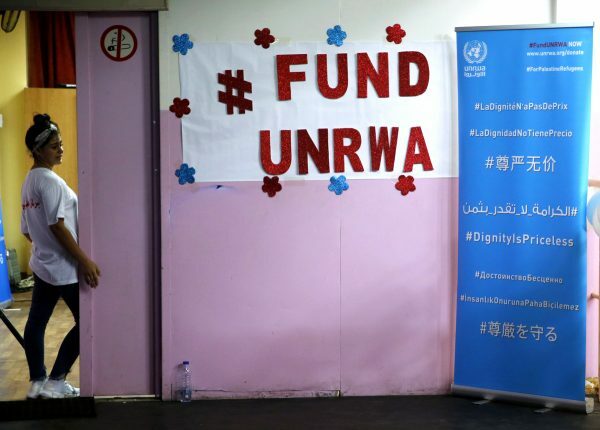 U.S. President Donald Trump’s decision to severely cut funding to the United Nations Relief and Works Agency (UNRWA) is another step in what seems to be an attempt by the U.S. and Israel to erase the Palestinian refugee issue. Festering for seven decades, the Palestinian refugee crisis has been an open wound affecting Palestine and the countries around it, and now Trump and Israeli Prime Minister Benjamin Netanyahu claim they have found a solution: deny the existence of the refugees. The Zionist invaders never had any different intent than complete obliteration of the Palestinian people. For them Trump is only another useful corruption.